Today we’ll use the qgis2web plugin to export from QGIS to Leaflet. The QGIS project, a location map for the third (in progress) Life on the Alaska Frontier novel, looks like this: Installing qgis2web The qgis2web plugin is installed like any other. Click on the Plugins->Manage and Install Plugins... menu item, click Not installed, and then find qgis2web in the list. Click the Install plugin button to complete the install. At its core, Leaflet is designed to be lightweight. That being said, there are hundreds of third-party plugins available to extend and enhance the functionality of your web maps. Today we’ll illustrate adding a plugin to our map from Day 6. The L.Control.ZoomBar plugin adds a custom zoom control that allows us to draw a box around the area we want to zoom to, as well as adding a Home button to return to the initial map view. Responders who stated that they had contributed to QGIS were asked to specify what kind of contributions they had provided. This question was multiple-choice. Time contributions are generally more common than financial contributions. 30% of responders helped by creating reproducible bug reports and 24% implemented improvements themselves. The most common financial contribution are personal donations to QGIS.ORG at 17%. This month, we’d like to know which plugins you think should be advertised as “featured” on the official QGIS plugin repository. The survey is available in English, Spanish, Portuguese, French, Italian, Ukrainian, Danish, and Japanese. If you want to help us translate user questions in more languages, please get in touch! I’m starting off slow, so today we’ll add a marker with some extra features. Since the map from yesterday is already centered on the big earthquake, lets add a marker there. Adding a Marker To create a marker, Leaflet uses the L.marker class: var earthquakeMarker = L.marker([61.346, -149.955]); This creates the marker, but it needs to be added to the map: earthquakeMarker.addTo(map); This gives us: Good so far, but looking at the map tells us nothing about the marker. Background In 1902 the only way from the port of Valdez to the Fortymile gold fields was a nearly 400 mile trail through the Alaska wilderness. The Valdez-Eagle trail plays a key role in novels two and three. Adding the Trail to a Leaflet Map To add the trail to our map, we will convert it from a shapefile to GeoJSON. 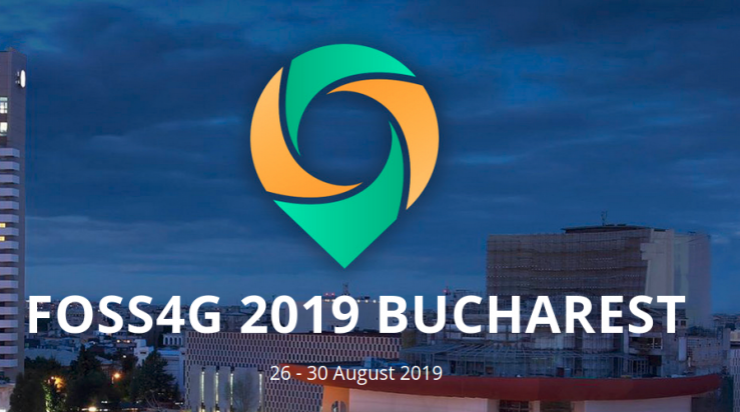 There is more than one way to do this—you could use ogr2ogr, but we chose to use QGIS, since it would not only convert it, but transform the coordinate system at the same time. Today we’ll add towns along the trail route that are mentioned in the novels. I hesitate to call them towns, because in 1902, many of them consisted of a view indigenous people and sometimes a roadhouse. The method to add these locations will be to add a GeoJSON layer and loop through each town, adding a marker and popup with some info. The Data The data for the locations is from the GNIS database for Alaska, containing over 35,000 locations. Today we’ll add some basemaps and a couple of controls to our map. So far we’ve been using OpenStreetMap as our back drop. There are a couple of tile servers that will give us a little more of a “back in the day” look. We’ll also add attribution to the map so we give credit where credit is due, as well as a scale bar. Complete code for the map can be viewed at the bottom of this post. On February 4, 2006 OSGeo held its first meeting in Chicago, with 25 participants representing 18 groups and over 20 different Open Source GIS projects, and 39 others participating via Internet Relay Chat. During the meeting, participants made important decisions in the formation and organization of the foundation, including the name, structure and purpose. The consensus reached in Chicago opened the way for the establishment of a productive and representative foundation. 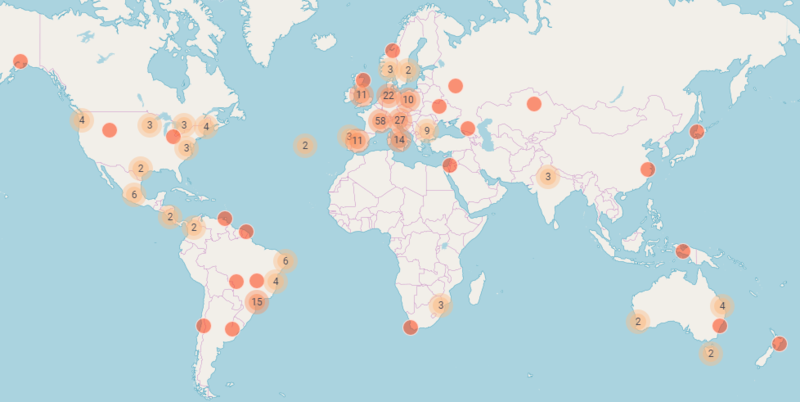 Today we are happy to announce that the we have meanwhile over 32,800 unique subscribers in the huge list of over 290 OSGeo mailing lists! And: check out the web site of the OSGeo foundation. 1. More to come this year! The post Happy birthday OSGeo! 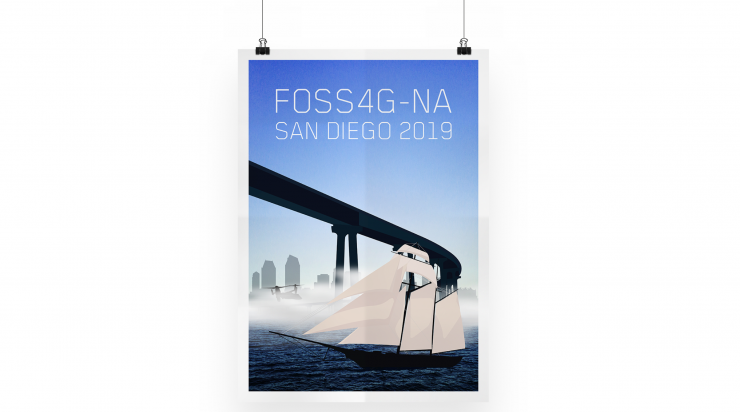 appeared first on GFOSS Blog | GRASS GIS and OSGeo News. Announcing our SLYR (MXD to QGIS) funding drive! One product which North Road had the chance to develop last year, and which we are super-proud of, is our SLYR ESRI style to QGIS conversion tool. If you haven’t heard of it before, this tool allows automatic conversion of ESRI .style database files to their equivalent QGIS symbology equivalent. It works well for the most part, and now we’re keen to take this to the next stage. The good news is that North Road have been conducting extensive research and development over the past 12 months, and we’re pleased to announce our plans for extending SLYR to support ESRI LYR and MXD documents. The LYR and MXD formats are proprietary ESRI-only formats, with no public specifications allowing their use. 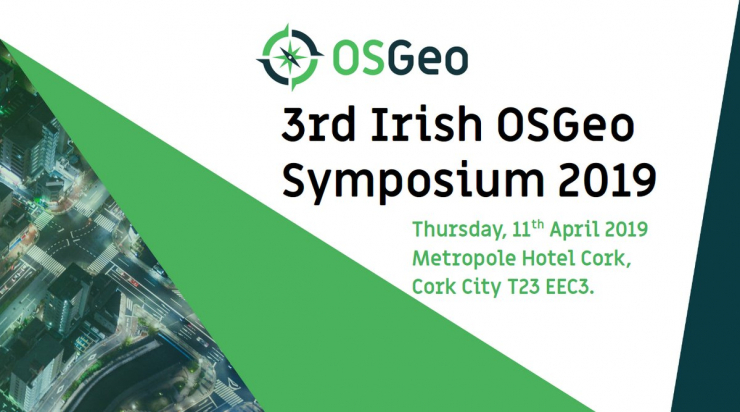 This is a huge issue for organisations who want to move from an ESRI environment to the open geospatial world, yet are held back by hundreds (or thousands!) of existing ESRI MXD map documents and layer styles which they currently cannot utilise outside of the ESRI software ecosystem. Furthermore, many providers of spatial data only include ESRI specific layer formatting files with their data supplies. This leaves users with no means of utilising these official, pre-defined styles in non-ESRI tools. In order for us to continue development of the SLYR tool and unlock use of LYR and MXD formats outside of ESRI tools, we are conducting a funding campaign. Sponsors of the campaign will receive access to the tools as they are developed and gain access to official support channels covering their use. At the conclusion of this drive we’ll be releasing all the tools and specifications under a free, open-source license. You can read the full details of the campaign here, including pricing to become a project sponsor and gain access to the tools as they develop. As a campaign launch promo, we’re offering the first 10 sponsors a super-special discounted rate (as a reward for jumping on the development early). 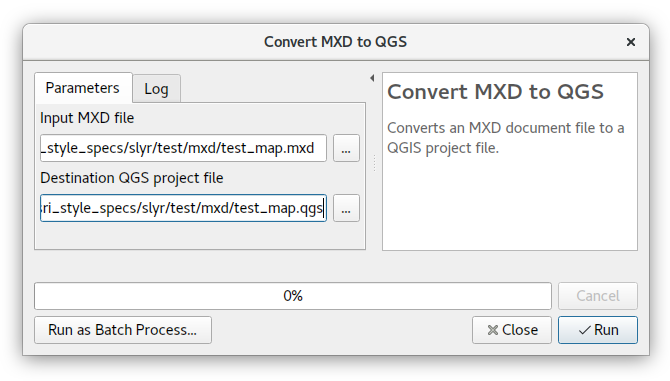 The mockup below shows what the end goal is: seamless, fully integrated, automatic conversion of MXD and LYR files directly within the QGIS desktop application! Movement data in GIS #20: Trajectools v1 released! There are also tools to compute heading and speed which I only talked about on Twitter. 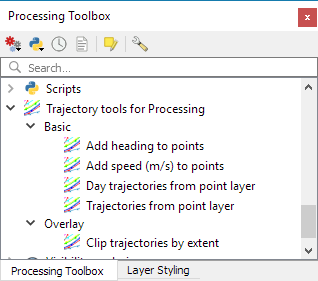 Trajectools is now available from the QGIS plugin repository. The plugin includes sample data from MarineCadastre downloads and the Geolife project. Under the hood, Trajectools depends on GeoPandas! 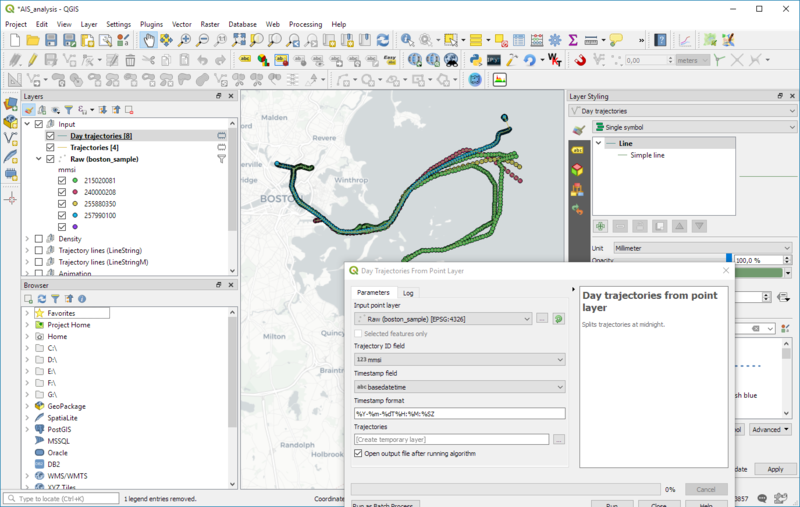 If you want to use this functionality outside of QGIS, head over to my movingpandas project! Thanks to the great feedback we received since releasing RC1 we were able to fix plenty of issues and add some more goodies. We would like to invite everybody to install this Release Candidate and help us test it as much as possible so that we can iron out as many bugs as possible before the final release of QField 1.0. Unfortunately, due to necessary updates in the SDK we target, we had to drop support for Android 4.4. The minimum Android requirement as of this RC is Android 5.0 (SDK version 21). QField, like QGIS, is an open source project. 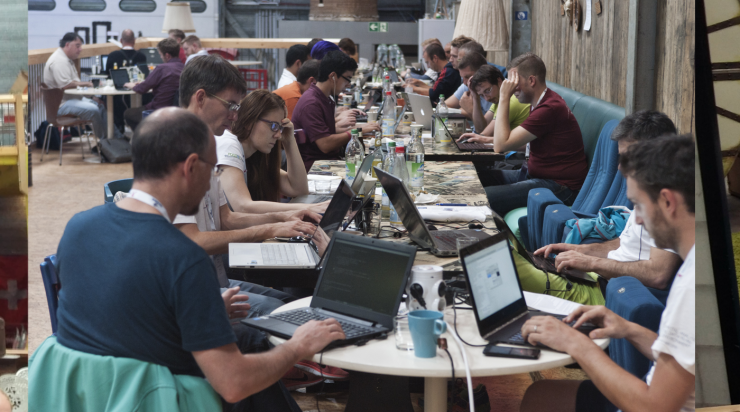 Everyone is welcome to contribute to make the product even better – whether it is with financial support, enthusiastic programming, translation and documentation work or visionary ideas. If you want to help us build a better QField or QGIS, or need any services related to the whole QGIS stack don’t hesitate to contact us. The post Call for testing: GRASS GIS with Python 3 appeared first on GFOSS Blog | GRASS GIS and OSGeo News. Therefore, in order to accurately map yield, we need to take this temporal offset into account.